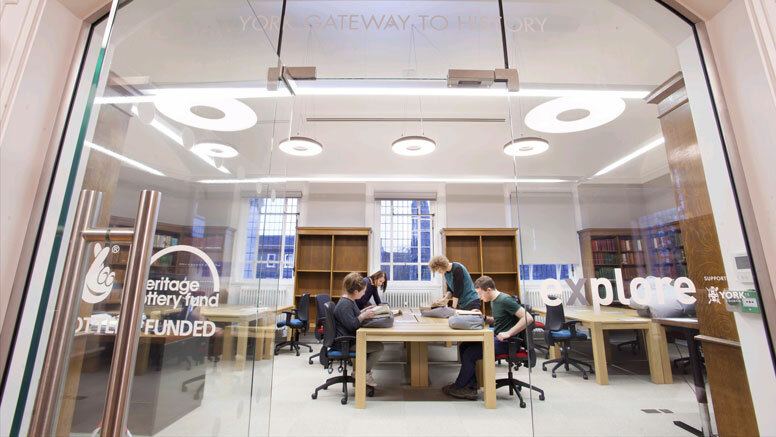 The City of York’s new refurbished Archive has reopened, offering an accessible and inspirational archive experience for visitors as a ‘Gateway to History’. The HLF-funded £2 million project includes a new environmentally controlled repository built on top of a single-storey wing of the central library to house York’s priceless 800 year old archives, second only to London in importance. 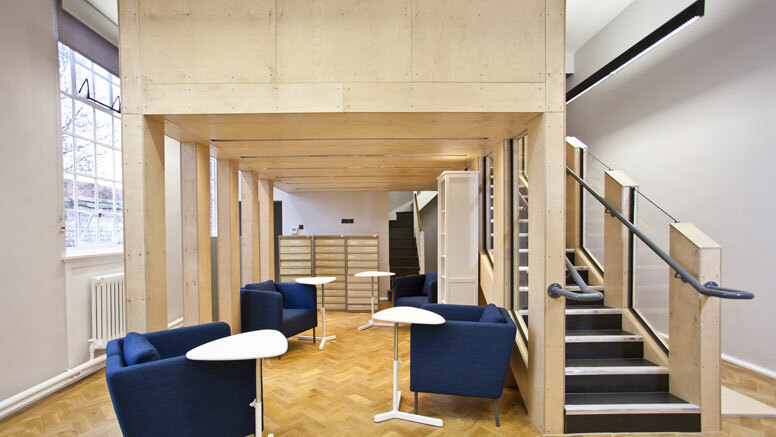 The public areas of the archive have been refurbished, creating new breakout and relaxation space as well as study areas retaining some of the original wooden furniture. A new timber installation in the family history room (formerly a stack store) creates a mezzanine level, allowing two new group study areas. Facilities in the main archive reading room are now used for family history classes as well as school and volunteer groups. Bisset Adams were the architects on the project, which posed technical challenges including managing the weight of the archive positioned on top of an existing structure, and the design of spaces to allow the transition of valuable documents from the storage environment to the secure reading room. 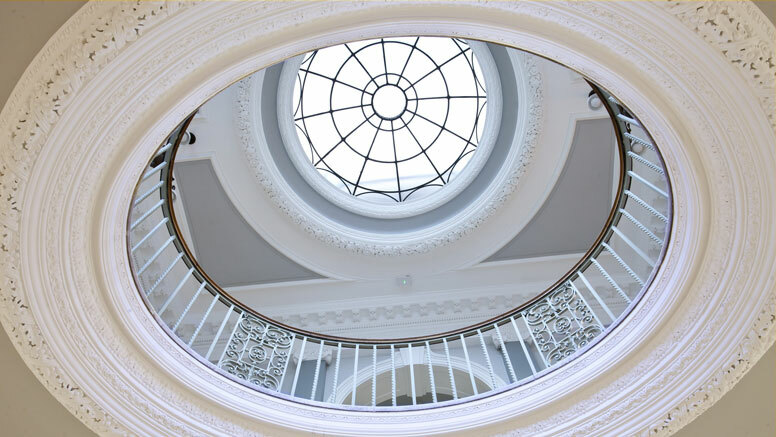 The new archive repository sits on top of a single storey wing of York Explore, the Grade II listed Carnegie central library, in the historic heart of York close to York Minster. It comprises a shining modern metal box clad in textured steel in contrast to the early 20th Century classical architecture. An ‘airlock’ link between the repository and the reading rooms taking the form of interlocking gold boxes, also heralds the contrast between old and new, as approved by English Heritage. The York: Gateway to History project continues through 2015 with a programme of events and activities to encourage as many people as possible to experience the new archive.